This David Hunt Lighting Bailey 21 light large 3 tier chandelier in rich bronze finish is a magnificent timeless classic and handmade in Britain from steel and cast resin. 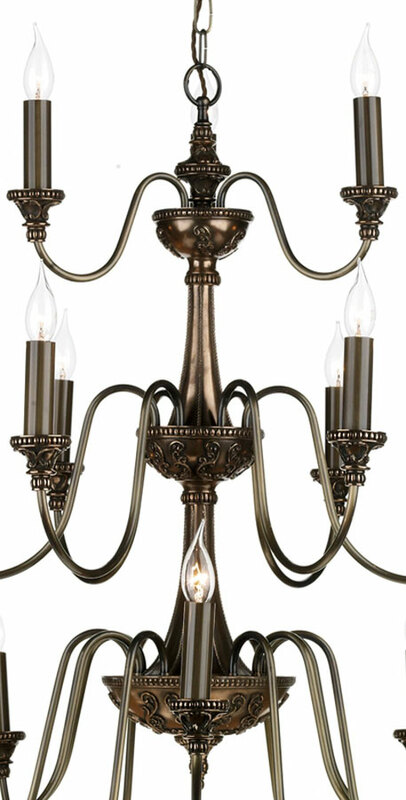 A beautiful Flemish style chandelier featuring a sectional stem with fine embossed detail and three galleries. Three tiers of double curved arms are fitted with candle style lights, with twelve lights on the lower tier, six lights on the middle and three on the top. Each light features an intricate embossed candle drip and rich bronze candle tube. This is a large ceiling light, with a diameter of 120cm and a minimum height requirement of 130cm. It is best suited to a large living room, hallway or dining room with a high ceiling. Please ensure that it is suitable for your space prior to ordering. Height adjustable at the time of installation by shortening the chain, please see technical data below for dimensions. Supplied with an extra 50cm of cable so the chain can be extended to provide a maximum drop of 262cm. Please note: Due to the size and complexity of this chandelier it is crafted and finished to order, with an extended delivery time of 10 to 14 days. The Bailey 21 light is supplied fully assembled and will be shipped to you on a full size pallet. 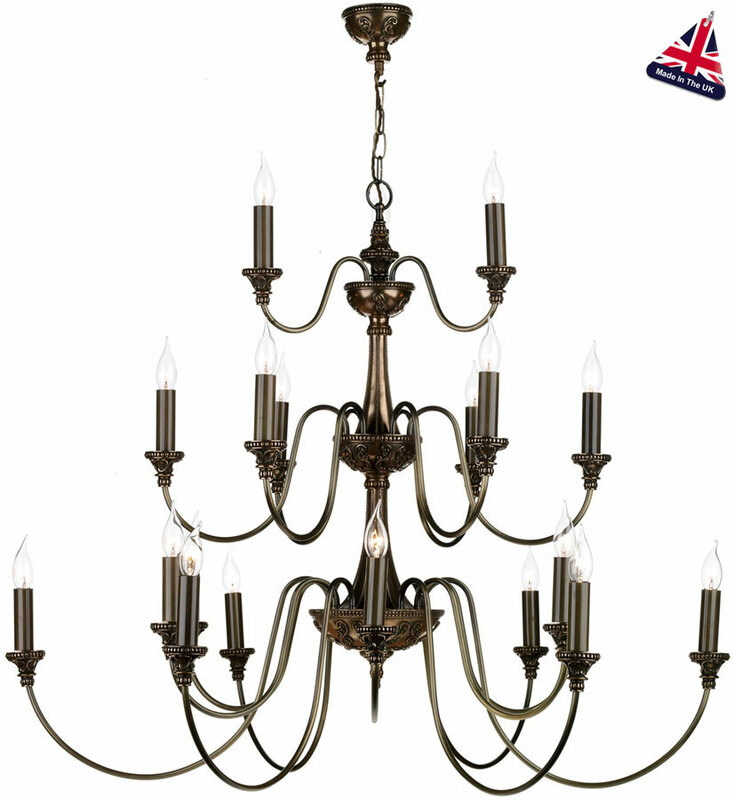 This classic light is designed and made in Britain by David Hunt Lighting who are well known for the design and manufacture of original hand crafted products such as the Bailey 21 light large 3 tier chandelier in rich bronze finish you see here.